1: An introduction to the history of the Lockheed Martin F-16 tracing its roots to the Lightweight fighter competition of the early 1970s. 2: The early days of the prototypes and the various development and trials. 3: F-16A/B the first generation Fighting Falcon with photographs of early service aircraft also includes a cutaway and technical specification. 4: F-16C/D the current versions and next generation block 60 Fighting Falcon (including a cutaway and technical specification). 5: Japan's next generation Support Fighter the Mitsubishi F-2, based on the F-16. 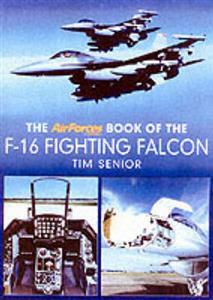 6: A 'walk-round' of the F-16, including detailed close up photographs various access panels, and other external details. 7: A detailed look at some of the various and future weapons carried by the F-16. 8: Details of the 21 countries that currently operate or have purchased the F-16 including aircraft construction block numbers, together with losses, fates, together with squadrons and base details 9: Lists the various Web-sites/Kits/together with a full bibliography.